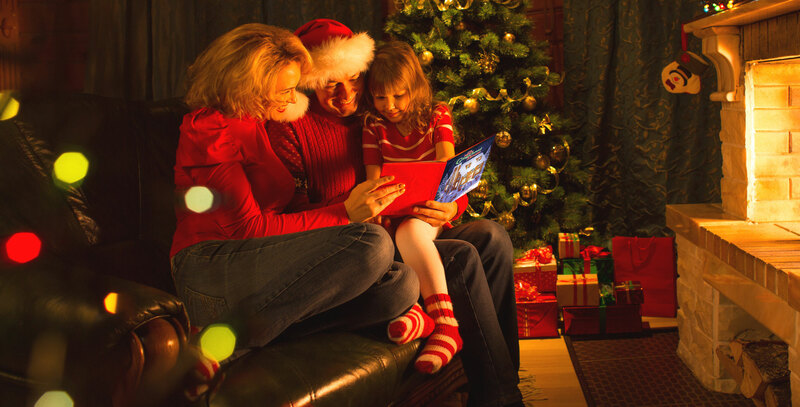 The second addition of author PM Franks’ Children’s Christmas series sharing the spirit of generosity, family tradition, and everlasting memories! 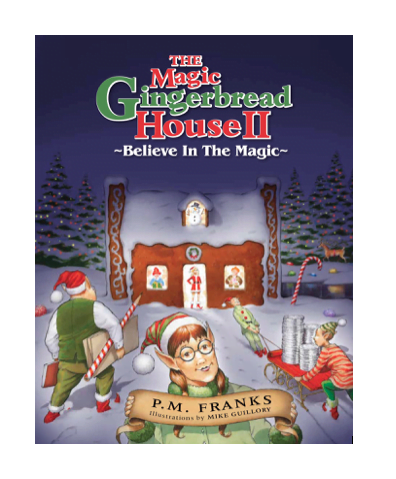 When a new boy named Sebastian has trouble fitting in with his classmates, two sisters, Meghan and Mollie, along with five of Santa’s favorite Elves, Kirsten, Hanz, Franz, Grietal and Stefan, help Sebastian find his forever friends and lasting self-confidence. 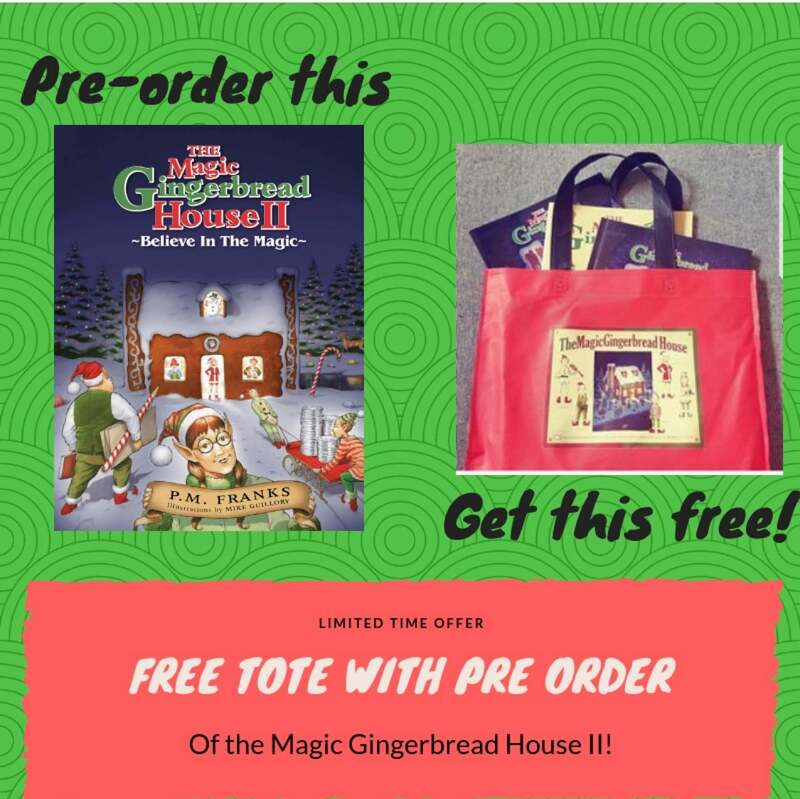 For a Limited time each pre-order of The Magic Gingerbread House II Believe In The Magic, will include a limited MGH Tote Bag! Books will ship early November! 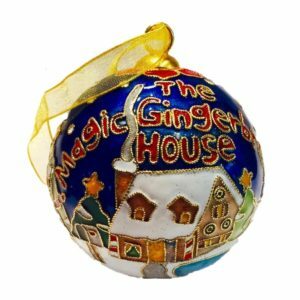 2 reviews for The Magic Gingerbread House II, Believe In The Magic! 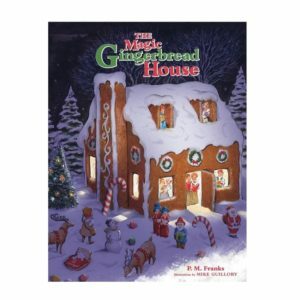 It is a great second book following the first one. 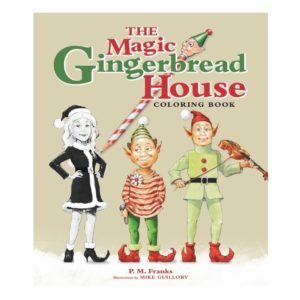 Adorable story of kids and elves helping a child with low self confidence. Loved it! !